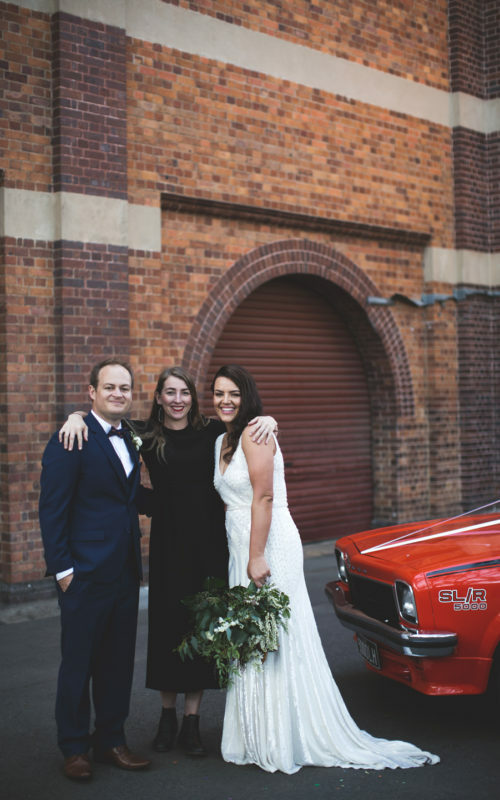 Til Death Events are team of passionate, innovative wedding and event planners in Brisbane. Find out more about our team today. Welcome to Til Death Events! Led by our creative director Danielle Hutton, we are team of young creatives who live and breathe weddings and events. Originally founded back in 2015 as Him & Her Events alongside her best mate Simon, Danielle is now the sole director and boss lady of Til Death Events. Just as our little business changed from two to one, we also grew and evolved into something entirely new. Our incredible team which has continued to grow, pride themselves on their ability to turn big ideas into real life spaces which you could only dream existed. We specialise in a variety of services including planning, styling and co-ordination. Our aim is to not only take away the stress from the lead up, but to ensure the entire day is seamless. Our couples are our business, so we make the time to connect with them in order to create a truly authentic event. We understand that every couple is different and therefore work with a huge variety of suppliers to create a perfectly individual day that is completely unique. We draw inspiration from everything from your favourite song to your most special faraway (or close by) place. Unlike your relationship, trends are only temporary, so we work hard to create timeless styling that you will appreciate for years to come. Til Death creates exciting and beautiful events in Brisbane, the Gold Coast, Byron Bay and the Sunshine Coast. We also love travelling and discovering new and amazing places that we can transform from ordinary to spectacular; nowhere is out of bounds for us. We believe love cannot be defined by traditional standards. Our team completely supports Marriage Equality and the LGBT community. I’ve always loved the planning process more than the actual partying process. When the lights go down and the music goes up this is usually my cue to sneak away, but the planning part; I am in my element. I enjoy every step of the process, from the initial ideas and collation of vendor information to the on the day management and setup. Throw in some meticulous organisational skills and you’ve got yourself a passion. Luckily for me this has also become a career. It really is true what they say – if you love what you do you’ll never work a day in your life. When I’m not planning and creating styling proposals, I am spending time with my family in North Brisbane, pottering in my garden, foraging through treasures at local markets and taking selfies with my cats. Want to talk more about your big day?